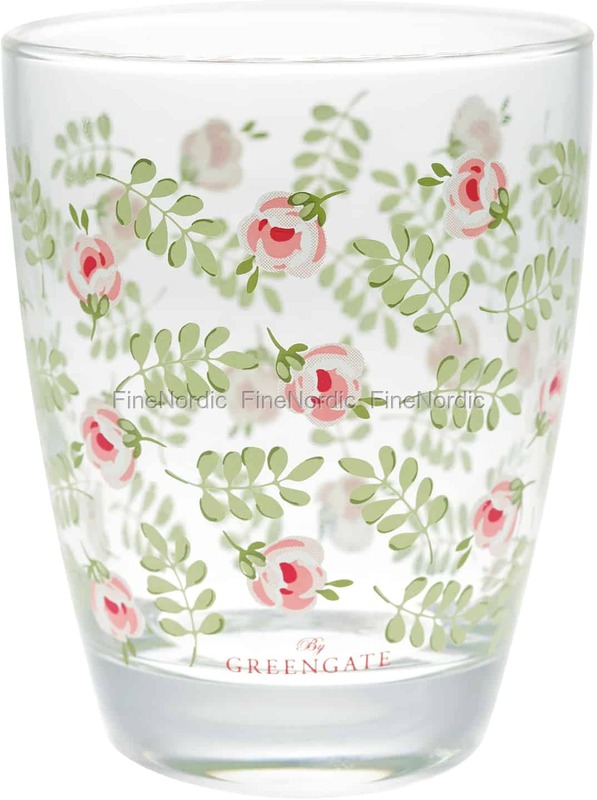 The adorable water glass Lily Petit White by GreenGate is covered in delicate red flowers and green leafy stems. Even if there wasn’t “by GreenGate” written on the glass, true GreenGate fans could surely recognize where this water glass came from. The glass has a capacity of 300 ml and it’s dishwasher safe. Mix and match it with other Lily Petit White dishes or other GreenGate series, like Alice Pale Pink or Alice Pale green for instance. Set your table according to your liking and style and make it as colorful or as unique as you are. The GreenGate water glass Lily Petit White matches the other Lily White products wonderfully and it will definitely stand out when placed together with monochrome tableware.